Watercolour with pen and ink of the ghats or bathing steps near Chinsura by Marianne Jane James and dated June 1828. 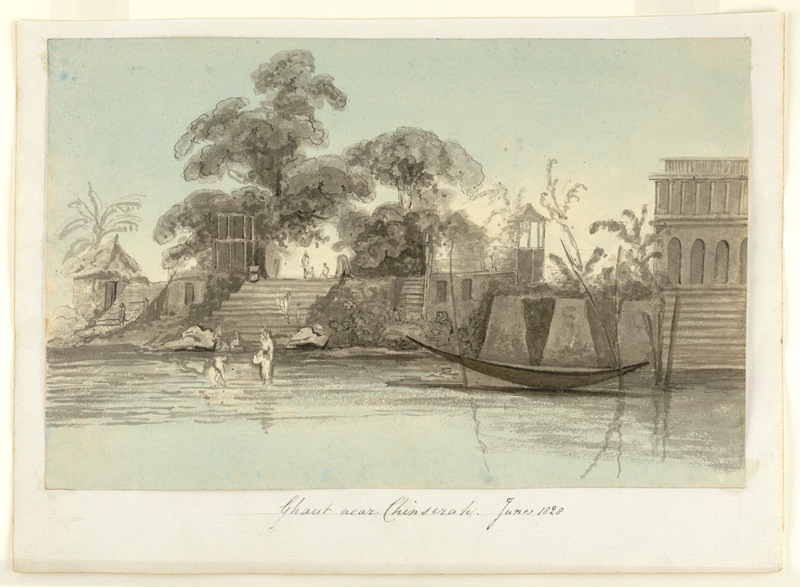 Chinsura is situated immediately south of Hooghly in West Bengal and was established by the Dutch in the 17th century. Chinsura was ceded to the British in exhange for the English-held Island of Sumatra in Indonesia and cash sum of £100,000 in 1824. Marianne James was the wife of the third Bishop of Calcutta.